Are you Looking for cool teenage boy gifts? We found some really neat things that your boys will love. Teens can be really hard to buy for and they usually will give you one or two ideas of what they want as gifts. If you know what brands they like, giving them necessities usually works great. Check out these fun teenage boy gifts in all price ranges. The Koowheel Hovershoes are a combination of a skateboard, a hoverboard and roller skating, but much more flexible, more Playful, more Fun and definitely would be a wow gift for your teen. Your teens will enjoy learning more tricks and they can go everywhere on these cool hovershoes. Each hovershoe has a carrying handle or they can fit right in your teen’s backpack for taking on-the-go. They move forwards, backwards, turn and stop functions are controlled by gentle and balanced movements on the footboards. The cool LED lights add another dimension at night. This set includes the two hovershoes, a charger and a dust bag for storage. Who knew “hammocking” would become all the rage for teens. Teens can create their own “chill spot” at the park, in the yard or at the lake or beach to listen to music and hang with their friends, read, snack, etc. The teens in my town gather at our local lake and set up a circle of hammocks and all chat and hang out. These super affordable, Honest Outfitters Hammocks are made of super strong 210T parachute nylon material. They are made of soft, breathable and mildew-resistant nylon cloth will last for a lifetime. We have employed high-grade nylon triple interlocked stitches to maximize hammock strength for your ultimate safety. Single hammocks support up to 400lbs and double hammocks up to 500lbs. Setup is fast and easy! Each set includes hammock straps and carabiners for easy setup. It will take less than 1 minute to hang your portable hammock on a tree or nearby objects using the hammock straps. An integrated stuff sack makes packing it away fast and simple. When a speaker sounds this good, your teen will never leave it behind. The Bose SoundLink Micro speaker is a tiny portable speaker that plays loud and clear—even outside. When adventure is calling, grab it on your way out the door and make the most of every moment. The beach. The backyard. The bike path. Wherever your teen is headed, SoundLink Micro is designed to tag along. They can attach the durable, tear-resistant silicone strap to their backpack, cooler or handlebars and it’ll hold tight every time. Just press and hold the multi-function button to access your phone’s Siri or your Google Assistant directly through the speaker. It even works with the Amazon Echo Dot—giving you the convenience of hands-free voice control. The Bose Soundlink Micro plays up to 6 hours from a rechargeable battery and the wireless Bluetooth pairing has a range of up to 30 feet. Plus it is dust-proof, waterproof and resists dents and scratches. Champion sweatshirts are back in style for teens and you can’t go wrong with this cool Champion hoodie that goes with everything. This hoodie will be a staple in your teen’s wardrobe and makes a great gift for teenage boys. Your teens will love the convenience of this Seneo Wireless Charging Stand. He can just set his phone in the stand, either vertically or horizontally to start his phone charging. No more fussing with messy cords. It also works with most phone cases on the phone. This charger is Qi certified and adopted with exclusive technology of ATB (Automatic Temperature Balance). The wireless charging speed is up to 15% faster than others; with temperature protection, input voltage protection, input current protection, short circuit protection and other multiple safety protection. The Seneo Wireless Charging Stand ensures the safety of your device during the entire charging process. Be sure you check that your teen’s phone is compatible with this charging stand before purchasing. Basketballs just don’t seem to last at our house and we could always use extras! This super cool NBA Street Phantom Basketball’s Soft Grip Technology comes with ultra durable soft grip cover and wide channel design, this ball will provide great grip and improved recognition and is outdoor-rated. It is affordable and comes in a cool black color with a variety of accent colors that teens will love. With the Nomatic BASICS Wallet your teen gets the best of both worlds: a slim profile and easy access to all of his cards. There is also room for cash and a key. Classy, professional, casual, or active—the BASICS wallet is right for any situation. Choose your favorite color, or buy multiple colors to match your style. Most minimalist wallets offer either a slim profile or easy access, but with the Basics wallet your teen gets both. Our unique pull tab technology allows access to his 4 most used cards with a simple pull. To ensure durability, Nomatic used medical grade elastic, genuine leather, and double stitched the entire wallet to ensure it was built to last. Bean Bag Bucketz is a challenging, yet easy-to-learn, outdoor or indoor game that your teens will love. It is the hottest new social game for tailgaters, beach goers, college campuses, parties, backyard, camping, basements and this will be at the top of summer wish lists. Bean Bag Bucketz is fast-paced, interactive team game that is easy to learn. Consisting of a game tower with 7 bucketz, 16 bean bags and carry bag. B3 is fun…if you have 2 or more players, create teams, take turns throwing into the bucketz. There are many ways to play with B3…the primary game begins with bags being tossed at the bucketz ranging in points from 1 to 4 pts. The first team to score 21 points wins the game. After game time is over, you can easily fold down the tower and pack it all away in the included carry bag to take it on the go or to store it away for next time. Fjallraven Kanken bags are one of the hottest backpacks of the year with teens. Each bag is made of Vinylon F. It has a weird name but it’s dirt-resistant, water-resistant, and wipes clean, which makes it oh so practical for teen boys. They can stash their 15″ laptop in its own padded compartment and still have the main compartment and 3 extra pockets for everything else. The highly reviewed, Tiny Epic Quest is a strategy game that is set in a classic fantasy world, perfect for 1-4 players that is easy to learn and is popular with adults, kids, teens, families, and everyone. This cool game can be played in less than and hour and includes game pieces with amazing artwork and detail. In Tiny Epic Quest, you will embark on a grand adventure of courage and glory! A once peacful world has been torn asunder by an army of goblins invading from beneath the land’s crust. It’s up to the players to prove their valor through slaying goblins, learning ancient spells, completing quests, and acquiring powerful items that equip right to your meeples…ITEMeeples! With there unique design and through clever engineering ITEMeeples will bring your imaginaton to life. During gameplay you will be able to delve deep into temples and come out with the greatest of items to aid your Heroes during the adventure. I love these affordable Funny, Varsity flannel pajama pants. There are hotdog pants, football with red solo cups, deer hunting with camo prints and so many more! Your teen will get a kick out of these comfy pants. They come in a traditional fit and these flannel pants are double-brushed to provide extra comfort and softness for sleeping or lounging around the house. They come in a variety of fun, novelty patterns and also available in big and tall sizing. Seems like a silly gift, but these Ethika Underwear are all the rage for teens. They come in lots of amazing prints that the teens are going crazy for and they are functional and super comfortable too. These underwear are made of a soft, 4-way stretch fabric that won’t pull-down or gather. Your teens will love this wildly and highly-reviewed Pandemic Strategy Game. In Pandemic, several virulent diseases have broken out simultaneously all over the world! The players are disease-fighting specialists whose mission is to treat disease hotspots while researching cures for each of four plagues before they get out of hand. Four diseases have broken out in the world and it is up to a team of specialists in various fields to find cures for these diseases before mankind is wiped out. Players must work together playing to their characters’ strengths and planning their strategy of eradication before the diseases overwhelm the world with ever-increasing outbreaks. A truly cooperative game where you all win or you all lose. These Hydroflask drink bottles are all-the-rage for high schoolers. They are pricey, but work amazingly well and they make a quality gift. The TempShield technology keeps cold drinks cold for up to 24 hours, and hot drinks hot for up to 6 hours. Your teen can stay cool and hydrated all day long, no matter where his adventures take him. Choose from an assortment of colors and styles. Your teens will love this highly-rated and very affordable Holy Stone RC Drone with HD. Most drones costs hundreds or thousands and this drone has some excellent features for the price. This drone will be easy for your teen to control. The multi-axis gyro offers extra stability for easy handling and 360° flips, plus a return home button so the drone returns to the user. The powerful air pressure altitude hold function will allow your teen to release the throttle stick and the drone will keep hovering at the current height. The HD camera will enable your teen to take aerial videos and photos with their iPhone or Android phone device. What a fun gift idea for teenage boys. If your teen drives an older car, they will appreciate this Bluetooth FM Transmitter Radio Adapter Car Kit. This little device will allow your teen to Bluetooth their music via their FM radio, all while charging their phone. They can also make hands-free phone calls with this device as well. It’s large screen can show incoming call number, voltage level in car battery, volume, FM frequency and song name if you play music from Micro SD card or USB flash disk. It is easy to read at night and in the day. This Bluetooth Transmitter perfectly works with iPhone, iPad, iTouch, iPod and other Bluetooth enabled devices such as an MP3 player. These NIKE Men’s Benassi Solarsoft Slide Sandals are so handy for when your teens are just kicking it. My kids all have slides for taking out the garbage or for when they want to take off their cleats in between sports games. They are quick and easy and you can even wear slides with socks. The dual-density foam midsole is super soft and plush under their feet. These slides make a great practical gift for teenage boys. If your teen has over-the-ear headphones, then he will love this sleek and affordable wooden headphone stand to help him stay organized. The stunning wood finish will go with just about any decor and it is sturdy and includes 4 grippers on the bottom. Your teens will love this highly-rated Bottle Bash Game by Poleish Sports. It combines elements of virtually all outdoor games and lawn sports and it is great for camping, at the beach or at a BBQ at the park. Throwing, catching, strategy, teamwork, offense, and defense are part of every toss in game play. The game can be played with 2 players or 2 teams. The object of the game is to toss the flying disc at your opponent’s pole which has a bottle set on top as the primary target. However, unlike every other backyard game, the other team must play defense to catch both the disc and bottle to keep the other team from scoring. All players remain active every throw of the game. This game comes with it’s own storage bag for teens that are on-the-go. Your teen will love this highly-rated Star Wars board game. It is especially for teens and it is one of the best Star Wars board games out there. Star Wars: Rebellion is a board game of epic conflict between the Galactic Empire and Rebel Alliance for two to four players! Experience the Galactic Civil War like never before. In Rebellion, you control the entire Galactic Empire or the fledgling Rebel Alliance. You must command starships, account for troop movements, and rally systems to your cause. Featuring more than 150 plastic miniatures and two game boards that account for thirty-two of the Star Wars galaxy’s most notable systems, Rebellion features a scope that is as large and sweeping as any Star Wars game before it. Experience intense head-to-head competition with the ultimate precision and power of the all new Nerf Rival Nemesis! This cool Nerf set, that was made for teens was unveiled at this year’s Toy Fair. It has a hopper where your teen can just open the top and dump in rounds for an easy reload. Choose a blaster color and go into battle as the Red Team or the Blue Team. Unleash rapid-fire blasting with this fully-motorized Nerf blaster. Don’t forget the mask and the tactical vest and extra rounds! If your teens love to game on their phone, then check out this Mobile Phone Gaming Controller with Triggers. Experience the Newest Version combining Mobile Gaming Grip Case and Mobile Fire Key Triggers! New Triggers have been Upgraded to perfect game experience! You can shoot the enemies quickly without damage your phone screen. No Power supply and driver needed, easy to use, high precision, high sensitive. This set also doubles as a phone stand! Teens who are on-the-go will love having this affordable ultra-portable Philips Norelco Travel Shaver. With self-sharpening blades, Shaver 510 provides a close shave each time it is used. It also features independently floating heads that follow the curve of your face. They can take this small shaver to friends houses or to the gym. Get your teens organized with this award-winning Grid-It Gadget Organizer . Perfect for backpacks, trips or even in their car, the grid-it The Grid-It system provides endless configurations for your digital devices and personal effects. With a rubberized woven elastic object retention system for gadget organization you’ll have endless configurations to hold items firmly in place. These cool organizers come in four great colors and make great gifts for teenage boys. If your teen shows interest in working out, check out this very affordable, Weider Ultimate Body Works System. It offers 50-plus exercises to define and shape your arms, shoulders, back, abs, hips, thighs, and calves. 4 adjustable power bands: These durable resistance bands increase weight resistance beyond your own body weight, giving you up to 50 lbs. of additional resistance. This space-saving design features convenient slide-away technology that allows for quick and easy storage.The Ultimate Body Works innovative resistance mechanism turns your body weight into natural resistance for a wide variety of exercises, plus an unrestricted cable and pulley system gives you greater versatility and greater range of motion, allowing for a wider variety of exercises that strengthen muscle and increase flexibility. This system is built to last and is made of durable steel tubing and is designed for years of use. Your teenage boy will love this super neat, highly-reviewed, Double Sided Hanging Magnetic Dart Board Set . These darts have no point, yet stick to the board as if they did! Not the old-fashioned Velcro tip, but an ultra powerful magnetic tip that really sticks. Flexible cloth-covered board protects the wall behind it and rolls up to store conveniently. All the fun of darts with none of the holes in your wall! Teen Star Wars fans will love this super soft, Star Wars Jedi Master Fleece Bathrobe . How does a Jedi relax after a hard day of fighting Darth Vadar and trying to free the Galactic Empire? He takes a shower and relaxes in his official Jedi bathrobe. Not only does it keep him warm and snugly but the hood provides extra concealment in case Stormtroopers are near. Now you can own the same bathrobe that the Jedi Masters wear. This comfy bathrobe is brown with the Rebel logo embroidered in brown on the front, a lightsaber ebroidered on the left hip and an embroidered belt to finish off the costume look. This cool, highly-reviewed robe is sized for adults and is one-size-fits-most. If your teens tend to lose their keys, phone or other things, you may want to check out this cool Tile Mate Finder. Key Finder. Item Finder . Tile is a tiny Bluetooth tracker and easy-to-use app that finds your phone, keys, and anything you don’t want to lose-in seconds. Attach a Tile to an item and locate it by sound, by seeing its last known location on a map, or by marking it as “lost” and getting an alert when it’s found. If your Tile is within the 100-foot Bluetooth range, it will play a loud tune until you find it. 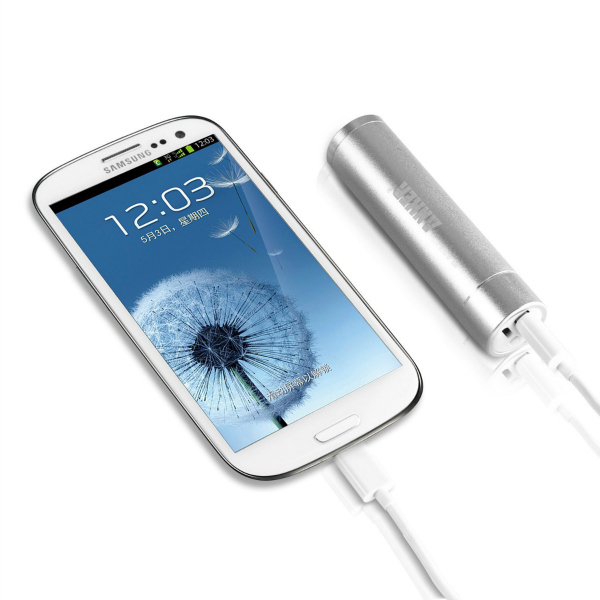 Anker is one of my favorite cell phone accessory brands. This Anker Astro Mini Ultra-Compact Portable External Battery Backup Charger will give your teen’s cell phone up to 9 hours of charge. It’s small and portable and they can tuck it into the pocket of their school backpack. No more dead cell phones and this works great for emergencies. These are great for travel! If your teen enjoys a pick-up game on the weekends, he will love this super compact SKLZ 10 Man Flag Football New Deluxe Set It includes strong nylon webbed belts for up to 10 players with a D-ring closure and 2 Velcro flags per belt, 4 goal line cones and a rulebook. It all fits in this super compact zippered bag. Just add your favorite football. This would be great for cousins of all ages at family gatherings or for football players that love to play on the off-season or at the beach. This set works for both older kids, teens and adults so players of all ages can join in. If you have a teen that loves Sci-fi, check out this highly-reviewed and highly addictive Star Wars: The Force Awakens X-Wing Miniatures Game Core Set . In this two-player game of dramatic, high-speed dogfights, your teens can battle head-to-head for the fate of the galaxy. Fantasy Flight Games has built a great continuation of the Star Wars Miniatures game to include The Force Awakens. The detail on the new X-Wing and Tie fighters is nothing short of remarkable. If you already know how to play the other Star Wars miniature games, this is the same game with new pieces. It can be combined with the other core set as if it was an expansion of three more fighters. 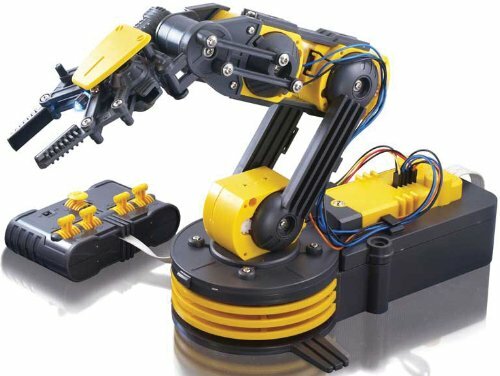 If your teen is an engineer, they will love building this cool OWI Robotic Arm Edge . It is challenging enough for a teen and there is no soldering needed. Once built, your teen can command this robotic arm to do multiple movements and functions. They will love creating this fun project and what a cool teen gift! Just about every teen boy has the Xbox One X on his list of wants as it’s the new latest and greatest console and they will love playing on the world’s most powerful console. Experience 40% more power than any other console out there. Games play better on Xbox One X and with 6 teraflops of graphical processing power and a 4K Blu-ray player provides more immersive gaming and entertainment. Your teen can easily switch from music, to TV, to gaming with the Xbox One X. You can purchase consoles with different storage, depending on what games your teen plays. Under Armour is one of the hottest brands for teen boys. Armour Fleece is light, breathable & stretches for superior mobility. It has a soft inner layer traps heat to keep your teen warm and comfortable. It has an adjustable hood with open snorkel neckline, ribbed cuffs and hem and a front kangaroo pocket. This newer modern Under Armour hoodie has an all-over twist effect. My boys own a few Under Armour hoodies and they are stylish, durable and comfortable. This wildly popular Armani Di Gio cologne will be a hit with your teen. It is highly-reviewed and you will love that he is no longer wearing body spray from Target. It will last a long time and he will feel confident in this scent. This is my far the best list of gift ideas for teen boys, I have seen. So glad you like it! We work hard to find unique gift ideas for teenage boys. Great ideas! I never thought about the flag football stuff! I’m adding it to my list now! I have read many lists in preparation for Christmas. This list is amazing! I can use almost everything you listed. Thank you so much for your hard work, which is such an asset to us “grannies”, who are out of the loop. So glad you like it! We try hard to come up with unique and fun gift ideas that will please everyone on your list.